Im using the most hours i can within this range! Bring it on 10 days! edit: well looking back through the comments it seems like there's a lot more individuals who would really prefer the 10 day format :x I must admit, I'm personally way more likely to join in if I have 10 days to do it... I just hope it doesn't severely throw off the quality balance across entries. That came across as way more negative and concerned than I meant. I have full confidence this Jam will generate a lot of great entries and open the event to people who otherwise wouldn't participate. 10 days would allow the more casual hobbyists and working folk to make legitimate entries, but it would also give those with more free time a great advantage. All the participants who are used to finishing up in 3 days would now have a lot more time to polish, expand on core ideas, and possibly work themselves into burnout. I'm into both 3 days and month-long for their own reasons, but 10 days just seems like it would only greatly benefit a subset of participants. For the GMC Jams in particular, 3 days feels adequate. Places like itch.io have longer jams for those who want more time or are only free during evenings. Otherwise, for the GM-specific aspect of these jams, I might just lightly recommend another jam on the forums with a longer timeline but no prizes. This way, nobody's really disadvantaged by a shorter/longer timeline, but people still get to come together over GameMaker. I imagine it will "severely throw off the quality balance" because some people will use the full 10 days (whereas I suspect *most* people will only use 3 or 4 days). It may make judging entries and deciding winners more tricky, but it's worth it to be able to do this thing over weekdays or days not stacked back to back. And I think it's going to be interesting seeing what those few people do with all those extra days (longer games? more polish? more focus on sound/music/mood?) In theory, this Jam should produce more games, better quality and more variety. I like that we're also keeping the "3 possible Themes" change from last time, meaning not many (if any) people will have a valid excuse for not entering (10 days is a long enough stretch to have at least 1 day free, and 3 Themes mean it's not likely that you find at least 1 of them interesting.) Hafta say, personally I'm looking forward to this next GMCJam more than I have for many years. mimusic and Micah_DS like this. Hafta say, personally I'm looking forward to this next GMCJam more than I have for many years. I just hope it doesn't severely throw off the quality balance across entries. hum... unbalance is already a thing. you already have team vs one person. you already have professional game dev vs. hobbyist. you already have participant that can only put a few hours in due to life vs. other who can spend the whole weekend. so IMO going from the 3 days format to 10 days isn't like you are introducing a factor that's not already in. I just hope it offer more opportunity for more participants to give it a shot. Toque, mimusic, dadio and 1 other person like this. The main topic is now up, and here is the first clue to the three themes! Im wondering of these represent the position of those letters within its theme word. The question is, which letter goes to which word? IndianaBones and Micah_DS like this. EDIT: Aaaand, I solved it. WARNING: brute force, because screw systems of equations. Step 1, P=A. This means that E^2 will always be 2N where N is something (either A or P, both are the same). We can suppose that E will be an integer, I doubt a letter will appear only partially. So now we are left with either A, P and E are all equal to 2, or P=A=8 and E=4. I'm guessing the latter, I doubt they'd only appear twice each across all three themes. Let's look at that second one: replacing what we know, we have 2=S+B. That would mean that both S=B=1. Therefore Y=E+B=2+1=3. And this is wrong, because that would mean that the first equation would turn out to be 3=1^2. And we know 3 is definitely not equal to 1. Let's move that into the last equation: Y=E+B=4+(8-S). And since we know Y=S^2, let's replace that too: S^2=4+8-S. That's 12-S.
S=3, P=A=8, E=4, B=5, Y=9. So in the end, we know the letter S appears 3 times, the letter P and A appear 8 times each, the letter E appears 4 times, the letter B appears 5 times, and the letter Y appears a grand total of 9 times. Micah_DS, IndianaBones and Michael Bateman like this. Values are correct, but you're missing a (GameMaker-related) piece of the puzzle so you're using/interpreting them incorrectly! and the letter Y appears a grand total of 9 times. I got the same result Misu did. But what does the other clue mean? 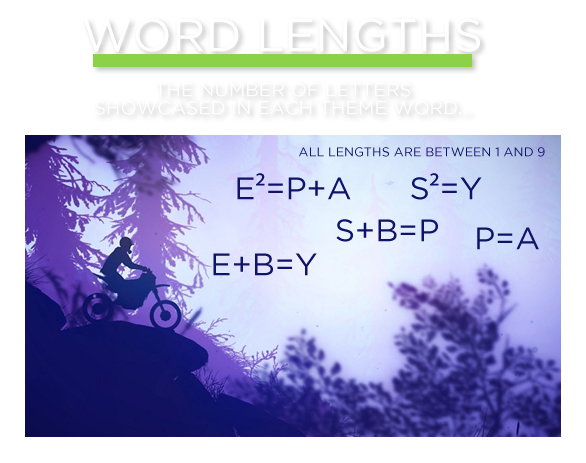 "The number of letters showcased in each theme word"? Also does What am I? have any specific meaning? Or is it just asking what is the theme?  Also you can unscramble the letters to be a couple different words such as Be A Spy and ESP Bay. The number of letters showcased in each theme word...that's an interesting turn of phrase...is there a link to the YoYo games showcase page perhaps? I mean, Y isn't that rare in English, I can see it appearing 9 times across three different multi-word themes. But yeah I doubt it's that because of the wording of the picture and because of the "GM-related clue". QuickEDIT: I'm guessing the first theme has 6 words that have that many letters, and the order depends on something GM-related. That'd be one long theme tho, and it's not GM-related. Amen to this. The short deadline is what forces you to focus on the essentials. I was closer than I thought with my joke. It's Psebay. 834589. That's a long-ish word, nice. So theme #1 has 3 words, theme #2 is a single word, and theme #3 has 2.
based on the lengths we got earlier. Yal, Misu and NAL like this. Interesting seeing the time frame switch. I know it set to 10 and I dont want to change it, but do want to express support same old 3 days and its supporters. Feels like too long to be a small prototype fun (throwaway) idea yet too short to be a proper viable small project. Everyone saying how they just use the 10 days to get a 72h of it kinda prove the point. how is that a jam, thats just ill make a game is that vague time period. its Missing all the pressure and even if it had any it couldn't be maintained it because 10 days is too long. I do want to say I am put-off by the 10 days, I want to mention that because it goes against the common sense "more time, more entrants" and it doesn't seem to have been brought up. If I decide to participate to something (i care about), I would want to have "worthwhile time" to participate otherwise its just not worth it. worthwhile time will vary from person and is entirely subjective, but its committed time and the more it is, the more off-putting it can be. That being said, I don't know if ill participate yet, but i'll be keeping an eye out, feels like its been a while. Bentley, Siolfor the Jackal and Nocturne like this. Pretty good points and I agree with you for the most part, but since it's already set, I think everyone should just give it a chance, see how it goes, then discuss again post-jam. From what I gather from all the past discussion, I expect a worst case scenario would be that we'd have a 10 day jam occasionally, but most jams would still be 72 hours. It's really hard for everyone to win; different mindsets, different schedules, etc. In the end, I really think the 10 day "jam" was the right choice. Sometimes you just gotta try something a little different and see how it goes. But it's just my opinion, of course. Michael Bateman and Toque like this. 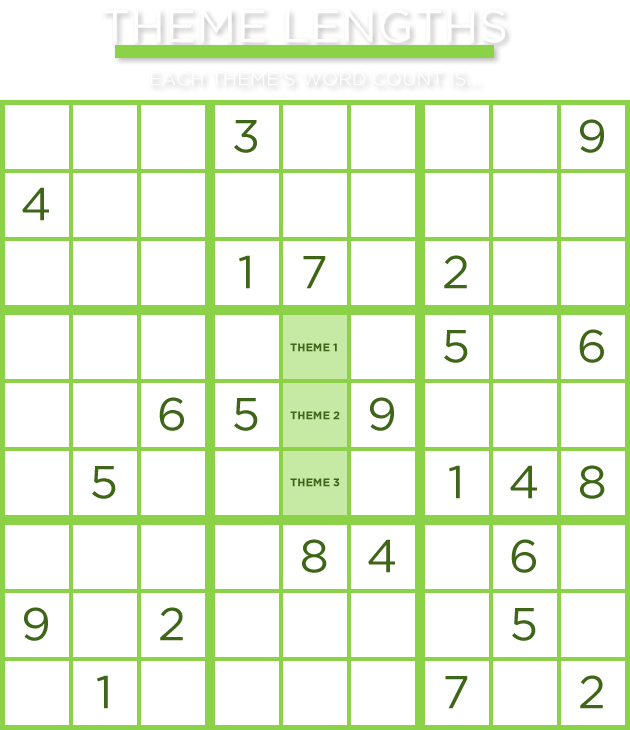 theme 1 is along the lines of "verb THE noun"
theme 3 is "adjective noun" or "adverb verb", latter feels slightly more likely due to the long word length. Micah_DS and GVmG like this. Since not many here are from the jam discord server, Im gonna share my serious guess from last week. yeah I was thinking of "- - - - - ing the game" for the first theme too, "breaking the game" does seem interesting but kind overdone maybe. TinyGamesLab, Micah_DS, GVmG and 1 other person like this. The M, Alice, sylvain_l and 3 others like this. For transparency's sake, in the Discord server we obtained the (possibly not intended to be said) hint that there are 4 O's total in the three themes. With that in mind, Misu suggested that since the title of the hint is "MOO MOO", and there are 4 O's there, there might be 2 M's as well across all three themes. I am less unsure about this one, especially after IndianaBones solved the current hint, which makes the "moo moo" seem unrelated to the amount of O's. I Still feel like it has to do with MGS 4's Gekko's sounding like cows. QuickEDIT: if that is the solution, then "BREAKING THE GAME" is not the first theme. So THATS why it's so quiet in here. Conversation is happening on Discord. IndianaBones and Misu like this. GVmG and Micah_DS like this. Bentley, Micah_DS, IndianaBones and 1 other person like this. So given the past hints, 7 As. I'm still guessing the first one ends with "THE GAME". Bentley, Micah_DS and Michael Bateman like this. I like Corruption too. I'll probably keep the Apparition guess for now, but Corruption does kinda fit with our original guess for the first theme which is now impossible (breaking the game). Who said 'breaking the game' is the first theme? Just jumping in to say I really really love the theme Metroid Prime 3 "CORRUPTION". I'm really hoping that's it. I feel like that has so much potential for all types of games, whether a dev wants to focus on story, game mechanics, graphical art, etc. That's the thing, "CORRUPTION", "GLITCHES", "BREAKING THE GAME", they've all been done quite a bit with games recently. Yet they're very flexible themes. It's high risk (of repetitive boring stuff) high reward. I have paid Daniel in advance (at a generously reduced rate). So contact myself or Daniel once winners have been selected. Please contact me if any problems or questions. Thank-you Daniel for helping out. GVmG, IndianaBones and Micah_DS like this. Hi guys, I just bought GMS 2 and I'm trying to learn GML and stuff. I'd like to invite any brazilian or anyone who can speak portuguese to team up try with the GMC jam! I think it is a great oportunity to learn a lot about making games! And with 10 days to make a game, I think we can come up with something a least working. GVmG and Toque like this. Why do you perceive that the word "corruption" refers to breaking or glitching? I mean true that it can define as so but you do realize corruption has more meanings. Corruption can be also betrayal, schemish, or vandalism. I know, I personally don't perceive it that way and would probably pick another meaning if it ended up being one of the themes. I was referring to how it is usually seen in games, especially after your first guess was "breaking the game", and how I've seen it creating a ton of generic "hurr durr the game is bruk" things in jams with similar themes. Guessing this title doesn't means the ? letters words are not in the themes, otherwise it'd be a bit of a weird puzzle (It might mean exactly that, and deny some of our previous theme guesses). It probably has to do with the missing letters anyway. Also gonna suppose that there is one letter per ? (as the ? wildcard is often associated with a single missing character, while * is any number). However, some do feel like they need two letters. Middle could be CUTE/CUBE/CURE, DEBT and BEAGLE. Bottom-left HORSE/HOUSE, SPIT/SLIT (highly doubt it's a swear word), LORD. Top right might have BRIT, top left might have ATE. As for those who feel like they probably have two, for example, bottom right might have WEARER, ARTIST, top right might have BRITISH. However as I already said, I doubt the ? is for more than one character. EDIT3: top left might be GAME, with some spicy confusing words: GAMETE (plant reproductive organ), LIGAMENT, and PURGAMENT (old latin thing that is almost not used now). This mixed with the second edit gives us the guess that theme 1 ends with "the game". Or maybe that it isn't that, given the title. however it seems a bit of a stretch. EDIT4: top right might also be IT. PITA bread, BRITISH, and... BITIT is a small town and rural commune in El Hajeb Province of the Fès-Meknès region of Morocco? yeah no that one's a bit of a stretch. Unless @NAL meant to write "B?" for BIT. and maybe IT in the top right. maybe. EDIT5: it's not IT. Or at least it's not BITIT. This last triplet of words is really the confusing one. EDIT6: AND. BANDIT, PANDA, BRANDISH. The title hints at either these words/letters not being in the themes (which would break our previous "THE GAME" guesses for the first theme), or that they are in the themes (but then the puzzle title is weird). Yes. That’s a great jam theme. I'm sad I gave up on this and looked up the answer. I had figured out the single letters and just assumed that the answer was really strange words I didn't know. The actual answer (which I guess hasn't been confirmed yet?) is much more clever. That said, I think it is more likely the words/letters are NOT in the theme. As there is only one three letter word in the theme and two three letter words here and that fits with the clue. Although, it could be that and or the is within another word, as was the case with the puzzle, so I'm fine with it either way.  edit: another point for the words NOT being in the theme is that the prior clue MOO MOO seemed to indicate and was sort of confirmed that there were four Os (5 actually but that was a mistake?) and possibly two Ms? I'm not really following the stuff on Discord though so I might have got that wrong, so the clue names seem to be important beyond the clue itself as well.